Many American Heating Company customers have asked us to design a thermal fluid heater that is less expensive than the serpentine coil design. These customers have requested the quality and service that American Heating Company is so well known for, in a cost effective and economical design. Hard economic times sometimes call for hard decisions based on initial investment costs alone and the Helical Coil heater is the answer. In order to meet customer demand, our engineers have designed and built the “HORNET” and “YELLOW JACKET” Helical Coil design. This design incorporates the economical qualities of a helical coil heater with the same standards of quality and excellence that are the main focus of each of American Heating Company’s products. 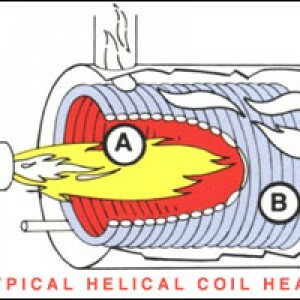 The Helical Coil heater design efficiency is 10% to 15% less than the serpentine coil design which is due to the fact that the hot oil cannot be heated to as high a temperature, and the entire coil bundle must be replaced if there is a tube failure. However, the cost of our “HORNET” and “YELLOW JACKET” heaters is very competitive and our customers will still be able satisfied with knowing that they have purchased a high quality and cost effective thermal fluid heater from American Heating Company. 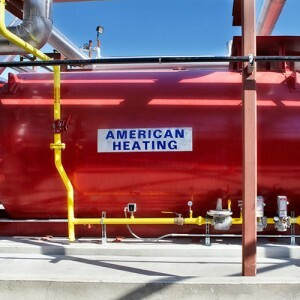 With over 30 years of experience in the industry, American Heating Company has become a name synonymous with providing high quality, cost-efficient thermal fluid heating products that meet the needs of our clients. 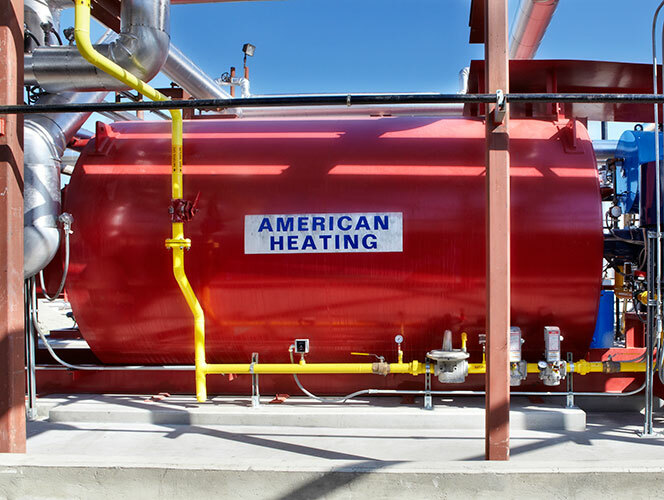 AHC engineers will work with you to assess your specific industrial heating needs, review the operation of your existing heater and determine possible fuel savings with the installation of a new American Heating Company unit that will increase your plant’s efficiency. If initial cost is a prime consideration for your next project, let the American Heating Company “HORNET” or “YELLOW JACKET” be your heater of choice. 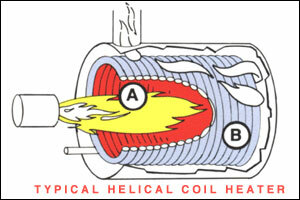 To learn more about how American Heating Company’s Helical Coil Thermal Fluid Heaters can benefit your business, contact us now using our quick and easy contact form or give us a call today at (973) 777-0100.